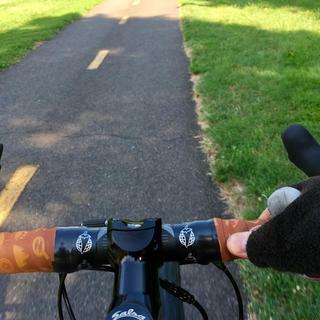 Bar tape may be built for one purpose; keeping your hands comfortable and happy. But, Salsa thinks it can do so much more. 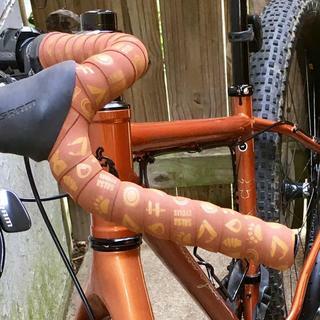 With a mix of colors to make your bike's style pop, and pictures of happy things to inspire you to ride for adventure, fun, or maybe just to get some ice cream, the Glyph Gel Cork Tape adds style and panache to every bike adventure you take. Just installing caused a few glyphs to peel. Give this tape 6 months before most of it rubs off. Not cool. BUT, it feels great and looks better. For aluminum dirt drop bars that go off road, this tape absorbs a bit of the punch that terrains deliver. 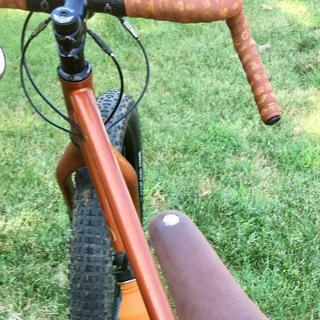 If anything like the other Salsa cork, it should hold up well over time, but, it will with contact from bark I think $20 is steep, but it is Salsa and cane with Salsa pepper finish tape as well as shifter strips. Good find if the design works for you. I ordered the orange to go with my 2017 Vaya, the orange is a perfect match. I'm not one who takes my riding too seriously, so I love the images on the bar tape and think they make the bike a lot more fun. Really pleased with the feel, I have used Cinelli cork tape in the past and the feel is pretty similar, the Salsa tape might be a little more cushion-ey. Some comfy tape with a cool print. The finishing tape could be a bit nicer. 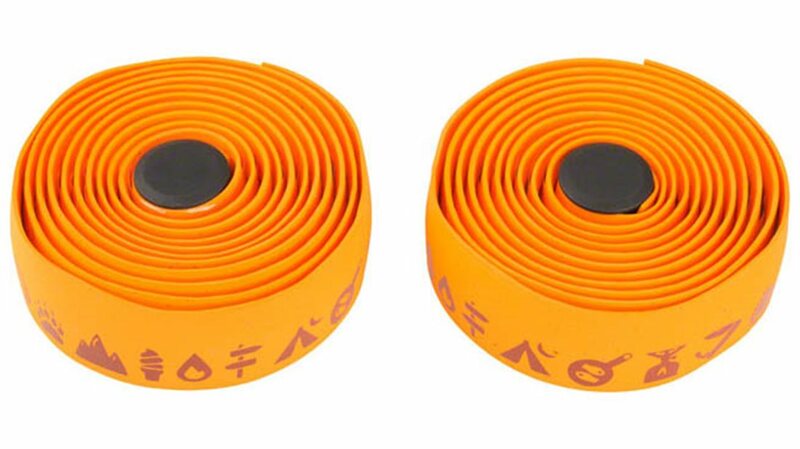 As a bar tape it has a good feel and good grip, I choose this over the standard Salsa bar tape for the novelty of the graphics as it was going on my bikepacking rig. The graphics appear to be screenprinted onto the bar tape, and the edges were already beginning to peel up the by the time I finished wrapping the bar. I wish the design was embossed into the tape like the standard Salsa tape. Right out of the gate this is a great wrap with more than enough material to wrap any bar. I enjoy the silicone backer better than other units that have the adhesive backer so I can remove it if needed to readjust my setup and put it back on with relative ease. Good padding and control for all kinds of terrain. The decals don't really hold up past the first ride though. And if you wrap like most of us do and change direction at the hoods they don't even show properly on one side of the hoods. Good product with poor graphics.